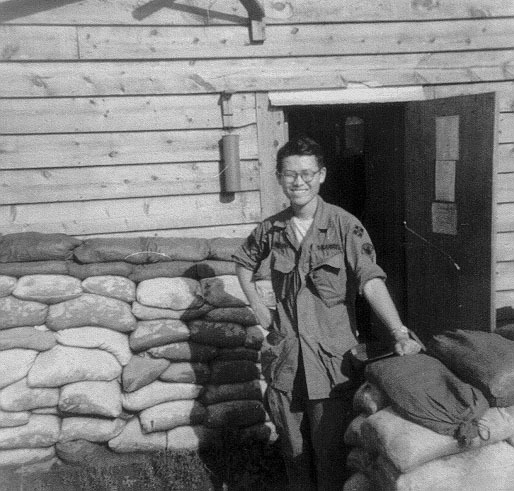 While serving in Vietnam, I did not physically participate in any major battles. Some individuals I served with in Plieku were wounded or killed while protecting the 4th Division's base camp. Army Commendation Medal - 3 awards for excellence. Plieku, Vietnam - Lived in barracks or 'hooches'; hot showers when the portable heaters worked or had fuel. We hoped for rain or a quick resupply when no water was available; meals were adequate; entertainment was drinking, cards, reading and an occasional floorshow. I volunteered for an extended tour that took me to Saigon. I did this to keep my older brother from serving in Vietnam. While on pass in Saigon, I was confronted by a drunk Caucasian GI just in from the field still carrying his M-16 rifle. Thinking I was Vietnamese, he loaded a full magazine into his rifle, pointed it at me and was getting ready to shoot. I managed to shout and curse at him and talked him into putting his rifle down. I then made him realize that I too was a GI and I outranked him. I missed my family. I especially missed my dad who died the day I reported to Fort Lewis, WA, just outside of Seattle. 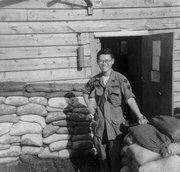 His funeral delayed my departure to Vietnam and saved me from seeing action at the tail end of the Viet Cong Tet offensive in 1968. The unit I was assigned to suffered some casualties when the VC attacked the bunker line. I was 19 when I went to Vietnam and it forced me to mature quickly. I came to realize how important my family is to me. Even with the sibling fights and arguments, the love of family made me make a quick decision to extend my tour of duty and prevent the Army from sending my older brother to Vietnam in 1969. He was just finishing his training and ready for his first duty station. The Army sent him to the Panama Canal instead. I am married to the former Janet S. Fujii and we have been married for 27 years this August 1999. I graduated from Belmont High School - S'66. I went to Cal State LA and graduated in S'75 with a BS degree in accounting. My last place of employment was as Chief Accountant for KABC/KLOS Radio (an ABC, Inc., station that is currently a part of Disney). Parents: Richard S. and Ethel I. Watanabe.